I’ve been anxiously waiting for these cute towels to go on sale. 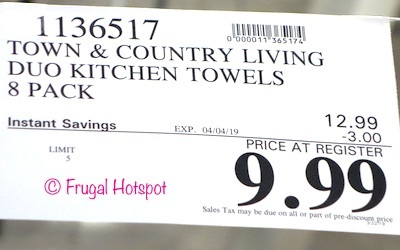 Select Costco locations have the Town & Country Living Bistro Kitchen Towels on sale for $9.99 (after instant savings), now through April 4, 2019. That is $3 off Costco’s regular price of $12.99. While supplies last. Item #1136517. Color selection may vary by location. 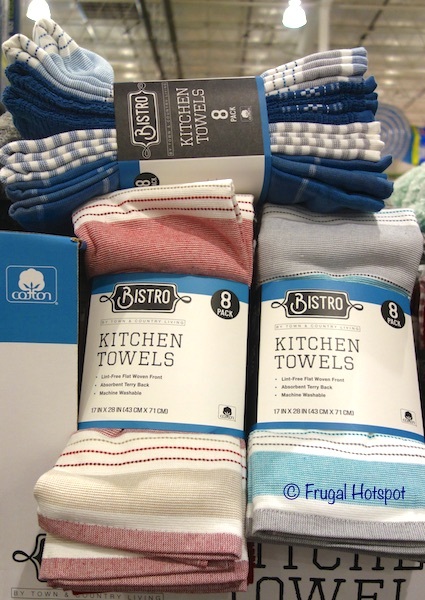 The 8-pack of kitchen towels include yarn dye towels and solid towels that are 100% cotton (exclusive of ornamentation). 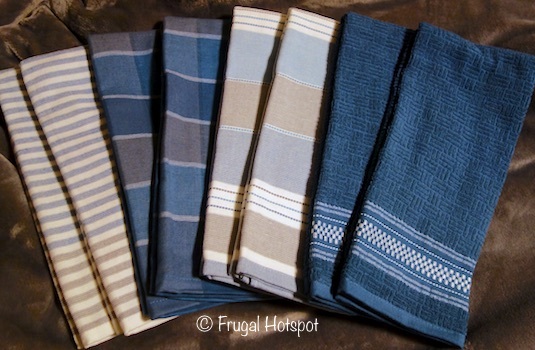 The towels are lint-free flat woven front with an absorbent terry back and are machine washable. Yep, I ended up purchasing the blue set. I may go back and purchase the teal/gray set. And maybe the red set, too. Machine wash cold on gentle cycle with like colors. 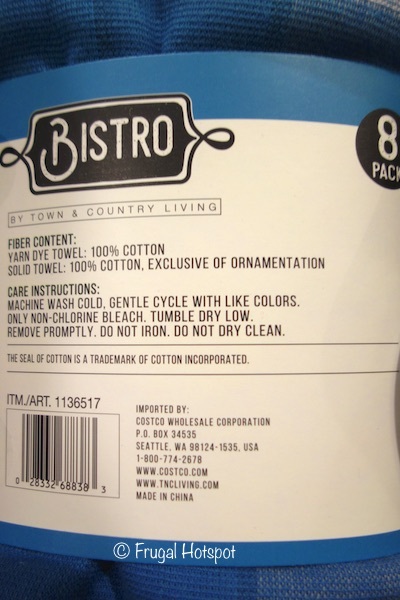 Non-chlorine bleach if needed. Tumble dry low and remove promptly.